Plumbing Heating & Air Conditioning in Lexington | Cottrell & Co., Inc.
"Taking care of all your plumbing, heating and cooling needs with honesty and integrity"
LEXINGTON & COLUMBIA'S TOP PLUMBING, HEATING AND AIR CONDITIONING SERVICE COMPANY! Expert Repair, Replacement and Maintenance of your Plumbing, Heating and Cooling Needs. 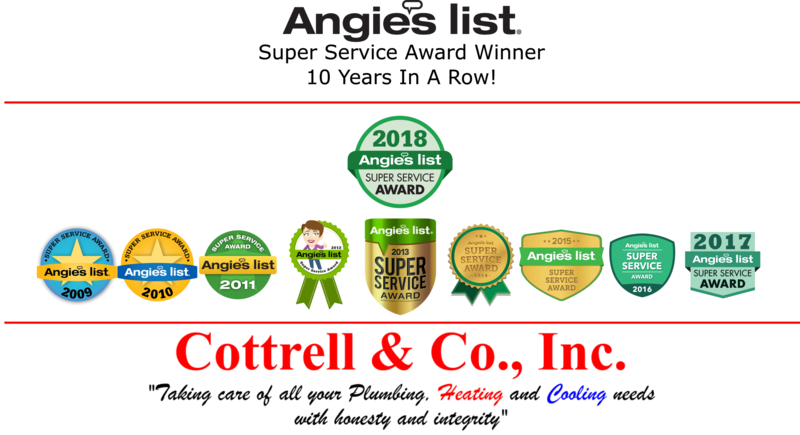 Since 1995, Cottrell & Co., Inc. has been providing expert plumbing repair, heating repair, air conditioning repair and drain cleaning service to homeowners and businesses in Columbia, Lexington, and beyond. We’re known as the only service company you want in your home. We service residential and commercial buildings all over the Midlands. Our Master Plumbers and NATE Certified HVAC specialists are hand-picked and expertly trained to provide you with the finest plumbing, heating and air service and installations. When you need it done right, you need a Master Plumber or a NATE Certified HVAC Specialist. Call Cottrell & Co! All of our technicians are Master Plumbers or HVAC Specialists. We only hire the best because you only deserve the best! Fully staffed office on hand to take care of whatever question or need that you may have. Call us anytime, 24/7! Our warranties are usually the longest in the business. 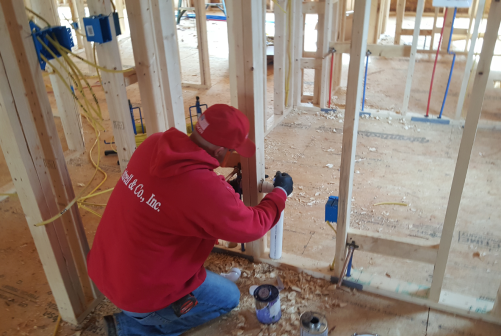 When we perform a job, you can rest assured knowing it's done right the first time! We are completely digital. All of our invoicing is sent over email and can be paid online or over the phone! Paper free! Our slogan tells you what matters most to us. We believe that the cornerstone to any good business is to treat customers the way we would want to be treated. Figuring out not only the most efficient answer, but also the most cost-effective answer to your plumbing, heating or cooling problem is of the utmost importance to us. We’re not coming to your home to sell you anything. We’re coming to fix whatever problem you’re having and to do our best to ensure your continued comfort. Our 28 year old air conditioner went out on a Tuesday and we contacted Cottrell&Co the next day. By Friday afternoon we had a cool house again!We replaced the whole heating and air system and could not possibly say enough good things about these guys! They were professional, knowledgeable and so polite. I would highly recommend them to anybody. Thanks Cameron, Brandon and Bobby for all your hard work. These guys are second to NONE. I just had Johnny and Brendon come out to my house to look at my water pressure. Within 5 minutes they did more than the previous plumber did in an hour. They found the problem and solved it and were super nice the entire time. Outstanding job! Bobby came out quickly for the estimate, and gave our system a thorough examination. The next day, he, Brandon, and Cameron started to replace our HVAC. The crew was extremely professional and polite. More importantly, I was very impressed with how concerned Bobby was that we understood and agreed to everything happening throughout the whole process. Even though they were already booked for the day, I had a technician at my home by 6 pm. Josh was probably the best service technician I have dealt with. Extremely professional and had the unit installed in no time. He answered all of my questions easily. And even though it was Friday evening, he still had another call to go to after mine. Not once did he complain about it being so late. Cottrell & Co came to where I work to fix some plumbing issues and the techs were very knowledgeable and curtious. They were able to fix everything quickly and made sure we were informed as they went along in the process. One of their drivers lives in my neighborhood in White Knoll and always takes care to drive careful which as a mother means a lot to me. All around they are a good company with great people working there!